Prime Minister Narendra Modi launched the Swachh Bharat (Clean India) Mission on 2 October 2014. His aim is to attain a 100 per cent open defecation free India by 2019. Since the launch over half a million household toilets have been constructed . By implementing “real time monitoring” the government hopes it can correct past mistakes caused by ineffective monitoring and wasted investment in sanitation. The 2011 census revealed that 43% of government funded toilets were either “missing” or non-functional.. Now the government wants to show that its investments in sanitation are delivering lasting results. The Ministry of Drinking Water and Sanitation is appointing around 2 dozen additional staff including two Joint Secretaries and 4 Directors to strengthen the implementation and monitoring of the Swachh Bharat Mission. An Expert Committee for innovative sanitation technologies and a national telephone helpline for rural water supply and sanitation are other new initiatives that will support the Mission . Local officials charged with monitoring toilet construction and use need to download an app on a mobile device. The app allows them to upload photos as well as the personal data and geo-coordinates of the beneficiaries to a public website. Progress is slow though: as of 14 January 2015, data of less than half a percent (2,383) of the newly constructed toilets has been recorded. Data collected before 2015 does not include toilet use. Geo-referenced toilet moniotoring data. Ministry of Drinking Water & Sanitation. How do other countries carry out large-scale monitoring? Compared to examples of large-scale sanitation monitoring in Bangladesh and Indonesia, the toilet use indicators collected in India – is the toilet in use, is it clean and is water available – are rather limited. The BRAC WASH programme in Bangladesh uses benchmark indicators developed by IRC for questions like: do all household members use toilets, do they use them at all times, and are there provisions for handwashing and pit emptying . In Indonesia IRC has helped design a monitoring system for the SHAW (Sanitation, Hygiene and Water) programme, where every three months 20,000 community volunteers visit more than 300,000 households. For SHAW monitoring is not merely an accountability tool as it is in India, but a way to motivate and encourage people to improve their sanitation facilities and hygiene behaviour . India’s decision to track toilet use as part of its new monitoring initiative is a major step forward. From its neighbours India can draw valuable lessons on how to monitor sanitation as a sustainable service that benefits all. . 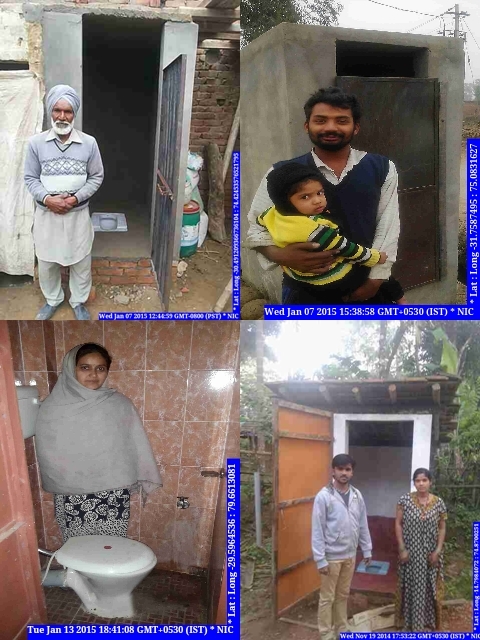 This entry was posted in South Asia and tagged Bangladesh, BRAC WASH II programme, India, Indonesia, monitoring, open defecation, rural sanitation, SHAW programme, Swachh Bharat, toilets. Bookmark the permalink.